Our dental implant dentist in Troy, MI offers the dental implant procedure to replace missing teeth. For years, dental implants have been the technology of choice for replacing teeth, whether you needed one tooth replaced or an entire arch. Alternative designs, such as the blade implant, did not prove to possess the efficiency and endurance of the root form design. Continue reading to learn more about the history of dental implants. Although dental implant design has remained basically the same for the last several years, the materials and specialized coatings used in the fabrication of implants continue to change. The most common elements of change within the tooth implant device itself tend to focus on thread design and surface textures that facilitate the best possible osseointegration with a patient’s bone tissue. Technology improvements also continue to occur with products and materials that qualitatively improve the regrowth of healthy bone tissue within each and every dental implant site. Leading-edge technologies are being developed to successfully treat patients who have been told they are not candidates for dental implants due to tissue conditions. Up until recently, the popular technologies focused on materials and design to maximize treatment success. It didn’t take long for technology leaders to recognize that a vast number of treatment failures were NOT due to the products used, but rather the protocol (or methods) of dental implant placement. In the past, a typical candidate for dental implants would be evaluated by his or her restorative dentist and referred to an oral surgeon or implant periodontist for the actual implant placement. Once the dental implants were successfully healed, the patient would resume treatment with their restorative dentist. The dental implant procedure was a time-consuming process. Treatment errors were not uncommon. Last-minute modifications in certain surgical procedures due to undiagnosed tissue conditions would invariably lead to treatment corrections that would become the responsibility of the restorative dentist. Treatment changes occurring during the actual surgery often caused implants to be placed that might compromise bone tissue and/or bite dynamics that could have more, long term, negative effects that shortened the ideal endurance that dental implants typically have. While oral surgeons and periodontists were “experts” at tissue and implant surgery, restorative dentists understood bite dynamics as it pertained to the final replacement of teeth and maintenance of an optimal bite plane. These differences in knowledge affected treatment, increasing patient frustration. Eventually, teams of restorative dentists and implant surgeons developed dental practices that assured the delivery of all implant services within the same office. Communication between implant specialists and restorative dentists became more immediate and significantly reduced treatment errors when unusual tissue conditions arose. For those treatment “teams” that didn’t develop a singular practice housed under one roof, a referral system was devised. It typically matched a restorative dentist with a preferred implant surgeon, but nonetheless required a referral activity with the usual delays. As dental implant services became increasingly popular, a few restorative dentists emerged to influence modern dentistry. These dentists realized they were in the best position to control virtually ALL probabilities of treatment errors with new technology. Tissue condition “surprises” could be eliminated. Tooth implant design and size could be used to overcome what might have become a poorly-placed implant. Due to intense interest, the development of successful treatment protocols, and the willingness to investigate all newly emerging technologies, more and more restorative dentists discovered they could, for possibly the first time, deliver a treatment outcome that met or even exceeded the expectations of their patients. Armed with new technologies, restorative dentists could diagnose and treat past problems with considerably less effort. The “drive” possessed by this small group of restorative dentists to provide a popular and definitive treatment choice for their patients didn’t go unrecognized by the professional dental community. Rather, during more recent years, independent professional organizations that focused entirely on implant dentistry became established, irrespective of a specialist degree within dentistry. The goal of these organizations was to deliver the best possible treatment experience and outcome. That way, patients with dental implants could smile with confidence. Many patients discovered that dentists with the right technology could exceed their expectations for dental implants. 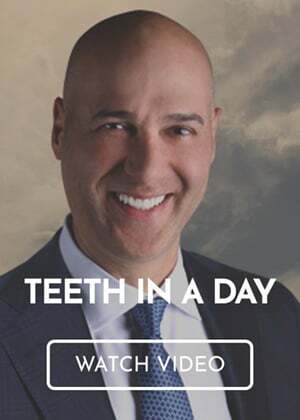 Dr. Ara Nazarian is a dental implant dentist who seeks nothing less than the best advantages that can be gained by the use of the most current technologies. Dr. Nazarian’s involvement with concepts of delivering the best that today’s modern dentistry can provide has been recognized by a multitude of technology leaders. He has become a popular choice for lectures, product evaluations, and live surgery demonstrations worldwide. Specialized instruments, protocols, post-graduate training, advanced tissue modification technologies, implant design, 3D diagnostic science, CT scan-based surgery templates, and premium grade restorative products provide our practice with the ability to deliver a treatment experience that is difficult to find in southeastern Michigan. Our dental implant dentist offers all types of dentistry under one roof, including oral surgery, periodontics, bone grafting, and implant placement. Our access to cutting-edge technologies, including hospital-grade sedation services that makes hours of treatment seem like 15 minutes, 3D imaging, CT scan-based surgical guides (the ultimate in accuracy), and immediate temporary restorations, essentially guarantee no patient leaves our office without teeth…regardless of the procedures used. To request an appointment with our dental implant dentist in Troy, MI, call the Premier Dental Center at (248) 457-0500.